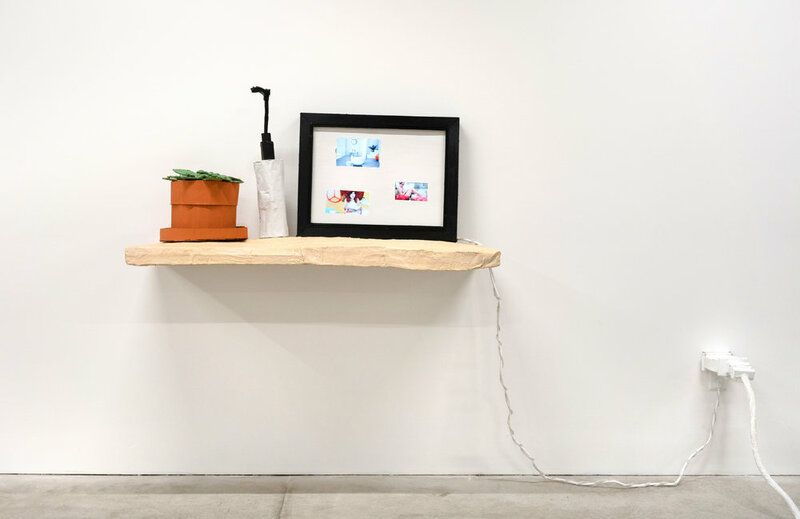 Personal Optimization, intermedia installation: sculpture and video, 2018 at Minnesota Street Project. San Francisco, CA. Personal Optimization, detail of intermedia installation, 2018. Exceeds My Expectations, video from Personal Optimization, 2018. Say It Loud, Say It Clear!, video from Personal Optimization, 2018. YAY Selfie Beach! Video in Personal Optimization, 2018. I choose over + over + over, video from Personal Optimization, 2018. Content Fills a Space, video from Personal Optimization, 2018.